"This new institution will offer your membership strong educational programs and enriching opportunities that will inspire lifelong learning and an enduring appreciation for Jewish values." "There are few organisations better qualified than Chabad to make this Jewish Academy a success." 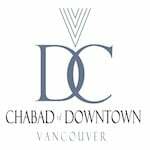 Vancouver looks to provide quality education for adults interested in learning more about the Jewish tradition"
"Vancouver is recognized the world over as one of the most diverse cities, and we thank the Jewish community for its part in helping to create our renowned multicultural mosaic".